Happy Chick is a all in one emulator for all the classic games. You can enjoy all sort of best games from N64, Game Boy, PSP, MAME, and SNES games under this single emulator without any configuration issues. All these games work without any glitch under this Happy Chick Emulator. Happy Chick has many great features like ultra fast download of games within the app, so no need to download and load the apps into the emulator all these are done by Happy Chick itself. Happy Chick also provider multiplayer features, best performances, one click install of games in-app and online game community. System Requirement: Android 3.0 and above. 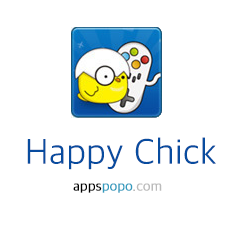 Note: This is official android apk version of Happy Chick emulator. No repack has been done by APKxiOS.